The boys are back and better than ever. To start of the show they discuss ESPN’s Mike Sando’s column comparing the number of pro bowlers drafted by Ted Thompson as opposed to Minnesota’s Rick Spielman, and go through other tidbits of information that are circling in Packer land as the draft draws near. After that the guys go behind the bench assessing draft needs based on Ross’ story that came out earlier in the week. Following that discussion the guys do their Packers version of a mock draft for the team’s first five rounds before Jacob has some words about extending the draft process in the show’s signature segment of You’re gonna want to cut that. 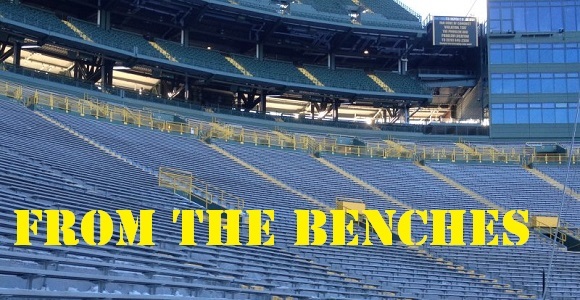 From The Benches is one of the family of podcasts from the Packers Talk Radio Network, featuring hosts Jacob Westendorf, Ross Uglum, and Ryan Hillesland.